ysabetwordsmith | Poem: "A Room with a Garden View"
Poem: "A Room with a Garden View"
This poem is from the January 6, 2015 Poetry Fishbowl. It was inspired by prompts from librarygeek, thnidu, and LJ user Ng_moonmoth. It also fills the "furnishing the home" square in my 12-17-14 card for the genprompt_bingo fest. This poem belongs to the series An Army of One. It has been sponsored by Ng_moonmoth. "A Room with a Garden View"
so they don't get left out. the ship lights are starting to sputter. a lot of money for repairs. The commanding officer Router is sympathetic. "I'll send our mechanic to fix up your lighting,"
he says. "Just be gentle with him, would you? Backup is kind of ... special." "I'll do my best," Astin says. I know what it's like to be different." culture that's evolving in the Lacuna. sent someone who couldn't do the job. and the caches of tools. for fixing the worn-out wiring. "I remember everything," Backup says. "I'm a good mechanic. I just need supervision." "Wow," says Astin. "That's quite a gift." in the fitful light of the ship. as he calls home for spare parts. has opened every door on the station. and Case, who manages the stockrooms. shoulder pats and a tour of the facilities. various rooms and bays around the supply base. cloth, patches, pins, badges and trim. pillows and blankets and sheets, organizers, bins. 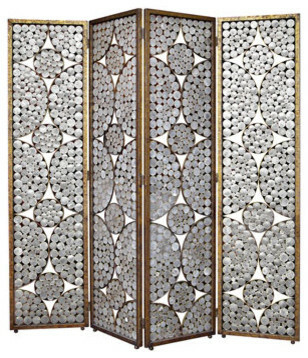 portable screens for dividing rooms, and other oddments. Astin is delighted by the screens. "They're, uh, not standard issue. divisions so I made dividers out of scraps." filled in with dashboard dial covers. as he points out the details in the brasswork. riveted together into rectangular sections." furnish my ship like this, but it's not practical." "Well, why don't you take a room here?" so you should have a place of your own. We've got plenty of space." "Like where?" Astin asks, intrigued. build you dividers and stuff," he said. the Gardener gets food production up to speed." an organizer desk with drawers and cubbies. the clear front panels for privacy. find someone to settle with," Case adds. Astin can't hold back a sigh. "I don't know. really keen on the jealousy either." "Hey, take your time," Case says. to know the option's open if you need it." that could have held far more people. formerly used to bind packing crates. with those metal strips," says Case. "I could make you a set of matching chairs." make these for trade, or just for here?" "I was just fooling around," Case says slowly. "You really think anyone else would want these?" some of the screens. They fold flat. Someone is sure to buy them." that the trader has selected. people are mixing these days." to have a wider variety of materials. "I can't wait to get my hands into this,"
Case says as he carries away his boxes. write out the steps," Astin suggests. the simple things for themselves. food and medicine, that sort of thing." to devour bowls of savory stew. Autistic adults may benefit from guidance by accommodating employers. Backup has a great memory and good skills, but not so great executive function; he does best with someone to tell him which things to do and then get out of his way while he does them. Upcycling turns old things or scraps into useful new items such as furniture. Many items in the Lacuna are upcycled, because they have lots of leftover army surplus but very little coming in fresh from the Galactic Arms. Astin doesn't have a lot of vocabulary for intimate identity yet, but shows clues of demisexuality and may have a range rather than a point on the polyamory-monogamy spectrum. Men and women often like different features in furniture, but it's possible to combine those. Astin's taste combines masculine (functional, straight, uncluttered, leathery, solid or simple patterns) with feminine (elegant, curving, lightweight, shiny, smooth or soft textures) elements. Medium and blended colors are preferred to the dark masculine or pastel feminine tones. When you're ready to decorate your space, pay attention to the different styles, themes, and colors. That way you'll get something comfortable that reflects your personality and meets your needs. Case made divider screens from round dial covers, flat metal sheets plus gauze, and metal strips. The bedframe came from brass pipes. The desk is standard-issue. The table, like some of the screens, is made from metal strips. Notice that Astin chooses primarily things that blend straight and curved lines, elegance and functionality. Most furniture in the Lacuna is made from synthetic materials (metal, glass, plastic) rather than natural (wood, leather) ones. The military background creates a utilitarian tone overall, something echoed in the choices of the artificially intelligent AYES who do not wear clothes but do have furniture inside their ship-bodies. Social skills are complex, and can be challenging for people on the autistic spectrum. Most advice here aims at pressuring neurovariant people to conform to neurotypical standards, rather than teaching neurotypical people how to accommodate neurovariant people. The Lacuna's prevailing neurovariant population is evolving a culture of their own, with some flexibility to account for people's different needs. The outsiders who get welcomed in tend to be those who can adapt to local custom and/or have quirks of their own. > What are AYES? Link or definition, pls? The AYES are military AI, typically for ships. I haven't seen an AYES unit on one of the space stations, but maybe they've been in limited use because of the "peculiarities" the small-ship units tend to develop. I'm so glad someone sponsored this! Loved my prompter's copy & wanted to share with others. I still have a few bad days to get through with the funeral schedule. Re: Glad this was sponsored! *hugs* I hope you have ways to take care of yourself. I'd saved reading this for my last spoon. I /absoultely/ HAD to do the grocery shopping today and it just ate through the day's supply of spoons like a Garburetor. I've still got a dozen things needed to buy, all from various small shops instead of the local grocery, but I came home, a kind soul made me a cup of tea, and I spent my last spoon on reading this. I'm so glad I did. It's satisfying in ways that angry, aggressive plots aren't. It's warm and inquisitive, and shows off an uncertain person taking risks... making connections with others. The payoff is so much more than "Astin rents a space to use when he's not trading," that I could probably write an entire blog post about it. Thank you for this one, too. *hugs* I am flattered. I'm also glad you have folks to take care of you. An Army of One is very much about making connections, most of them among people who are not naturally gregarious and find it challenging to make the kind of ties that most folks do without even thinking about it. And on the whole they seem less aggressive, more prone to solve problems in other ways than fighting. What hostility they have is more expressed as being snappish or irritable than in picking fights. Aww! The key is that it's not exactly renting, the way settlefolk will take one residence and make it theirs whether they own it or not. Case, bless him, somehow recognizes the concept of an anchor spot, and offered it because that is a big benefit to his base-family as well as to Astin. Of course the ship is Astin's primary home, but there are limits to what can be done with it. Anchors are where a trader can stop for a while, rest up, and form lasting connections with other people. It's just that a trader's "home" isn't necessarily all in one place like it is for other people. I like the matter-of-fact way Backup talks about his "gift", and the way Astin welcomes it. Like fandom at its best. I also like the upcycling. You can make some amazing things that way. That was part of my inspiration for the Lacuna, yes. Agreed. I have many things which are adapted from their original purpose. Now I'm following links to trace down more of Astin's back story. You did a very good job with enough in this one I could follow along, even NOT having read any of the other stories in this world. Yay! I'm glad that worked so well for you. As long as you're tracing them, if you send me a list of the Astin titles, I can put them in the Extras on the series page like I have for the AYES poems. Also: Is there still a verse of Poem: "The Sum of Its Parts" to be shown with another linkback? If so, tell me what you want linked or reviewed and I'll do it! http://ysabetwordsmith.livejournal.com/2853942.html I dislike partial poems after all this elapsed time. Thank you! I have added this. It does not mention Astin by name, but does describe the background of traders in the Lacuna. It is still for sale at $20. Last verse posted in regard for this list. I really like the theme of "people taking care of their own" in this universe. I'm happy to hear that. The Lacuna is a good place, but it's never easy to survive in space. Teamwork is a survival skill there. An extra challenge in this context is that the majority of people who stayed are those who feel comfortable working alone or in very small groups. So they have to find ways of balancing the need for cooperative survival with the need for privacy. The room screens capitalize on that by making it easier to open and close areas, change things according to current needs, and switch between solitary and shared organization of space. They're good at finding solutions. Hmm, thinking on it further, I suspect the prevailing love languages will wind up being gifts and service far more than words or touching. That's likely to appear in friendships as well as romance. How nice that Astin is finding a place for xyrself just when I am locating my own place in gender space. I hope the place I find will be as welcoming and accepting. I noticed that you credited me with a prompt. Was that for anything other than Astin being the result of an earlier prompt? I hope so too. There are some. If you're mobile enough to relocate, you can explore and find them. Off the top of my head, Boston, San Francisco, and Seattle have genderflexy subcultures. Certain parts of New Orleans used to be too, but I have no idea what it's like currently in that regard. Also some intentional communities are very welcoming -- and many of those do workshops, have open houses, or otherwise accommodate guests for short to medium terms. Just the character background. I hadn't written it on the poem but kept thinking you'd had a prompt in it. So I guess that counts. Sorry, I was still talking about a place in gender space there, not physical location. I'm making a series of posts to my blog right now, where I'm describing how things I've been reading and experiencing over the past several months have coalesced my gender identity into something that feels right for me. If you get a chance to go have a look, there's a bit in a response I wrote to another LJ friend's comment that I think really hits the mark about the journey I'm on in gender space. I'd lay pretty good odds that I'll wind up in something like that eventually. My community is not segregated by age. I have much more in common with people who are flexible enough to participate in the process of redefining gender than I ever will with most folks in my age cohort, and I'd much rather be sharing my life with them. Okay, that makes sense too. I think you typo'd Astin's pronouns. >>"I was just fooling around," Case says slowly. Fixed, thanks. This may actually be from before they got set. The people in the Lacuna are generally ones that nobody wanted back in the Arms. Just not all for identical reasons. So yes, the Arms -- both of them -- mistreated most of those folks. That's why so few of them wanted to go back. librarygeek - Glad this was sponsored!